We performed an inspection and repair on a gearbox CONRAD STORK 2R910 S/3 Spec. 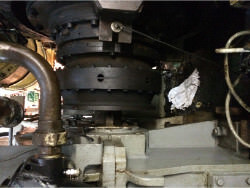 We performed an inspection and repair on a gearbox CONRAD STORK RB-355BL S/3. We performed an inspection and repair on a gearbox CONRAD STORK B3DH8B. 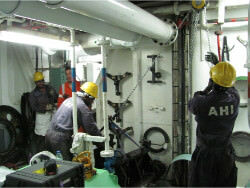 - Inspection of the disassembled bow thruster gearbox. Our client had a problem with the gearbox RENK SHSI 3S 1000. - We assembled the complete gearbox again and performed a test run. - Disassembling and cleaning of the gearbox. - Renewing of the seals and bearings. - A visual inspection of the gearbox casing for bursts. Disassemling and cleaning of the gearbox. - A visual controlling of the gearbox for bursts, where possible. - A visual controlling of the inside and the outside of the preservation. - Disassembling of the gearbox. - Controlling of cone with propellor. - Inspection of two gearboxes on board. 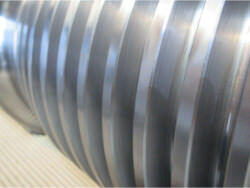 - Controlling and recording of the alignment of the input and output shaft. - A visual inspection and friction of the inside gearbox. Our client had a problem with the gearbox JAHNEL & KESTERMANN ASU 560. - Disassembling, inspection and cleaning. - We assembled the complete gearbox again and performed a rest run with a test run report for our client. - A visual inspection of the gearbox with the aid of a videoscope. - A visual inspection of the gearbox. 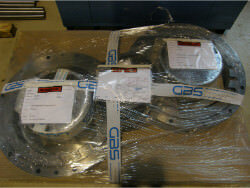 We repaired all seals and bearings and the slow axis of gearbox Lohmann & Stolterfoht GJZ 1323. - Wearing part ring was renewed. - The toothing of the pinion had sharp borders. These were manual purified. - The slow axis is renewed. 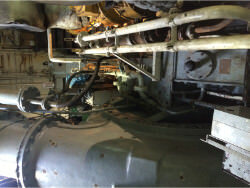 - Performing of an alignment check on the dredge pump gearbox on location. 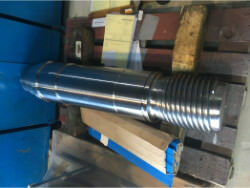 For the alignment check, a laser shaft alignment system was used. With this system, the alignment of equipment can be measured accurately. We performed an inspection in gearbox Jahnel Kestermann. The teeths were slightly damage so we regrind them. We did repair the bearings and seals. 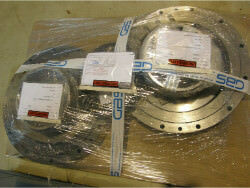 - Inspection on gearbox Kuypers 6021-7. - Installation of this gearbox. - Test run to check if everything was alright.